Discussion in 'Apprentice Marijuana Consumption' started by metalhead1, Apr 22, 2010.
attempted to clean it that didnt end up well..
i do not have the broken piece of glass, it was thrown away. 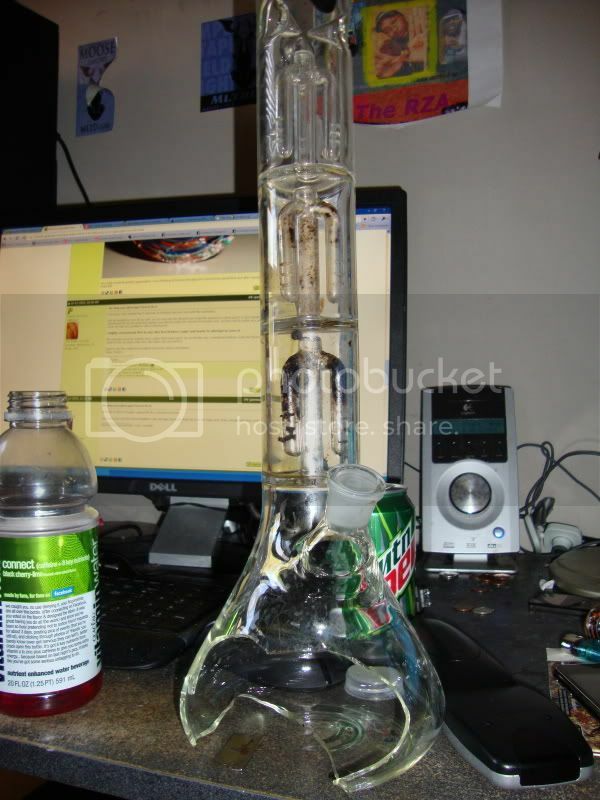 Here is the bong, Everthing is fine besides the huge chunk on the bottom. it might be unrealistic to fix it but anything can help, thanks alot. 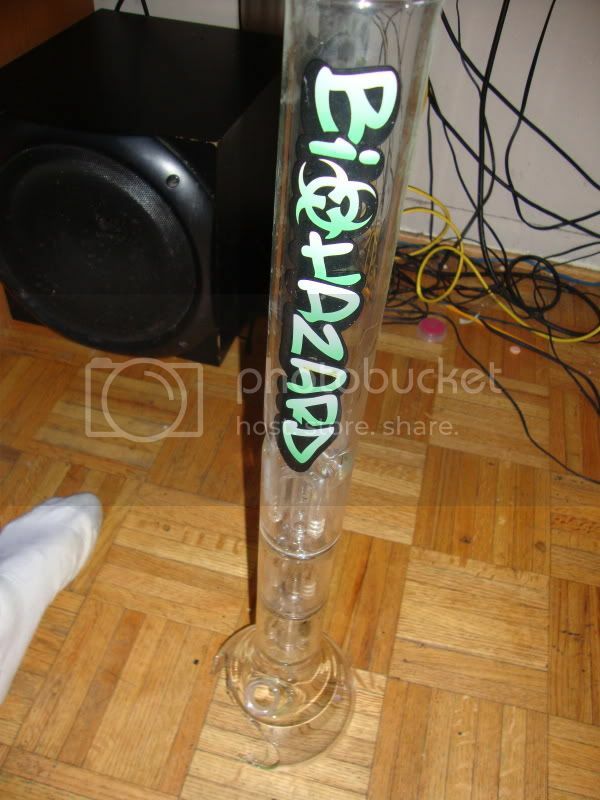 I don't know much about glass repair, but aren't bongs made in 2 pieces that are attached? The bulb at the bottom can just be replaced with a new one? Find some cool looking fabric to wrap around the bottom of it. Maybe use some kind of glue or wrap a lot of it tight to make it sturdy and not floppy, if that makes sense. Only thing I can think of to save it. Someone else will probably have a better idea. 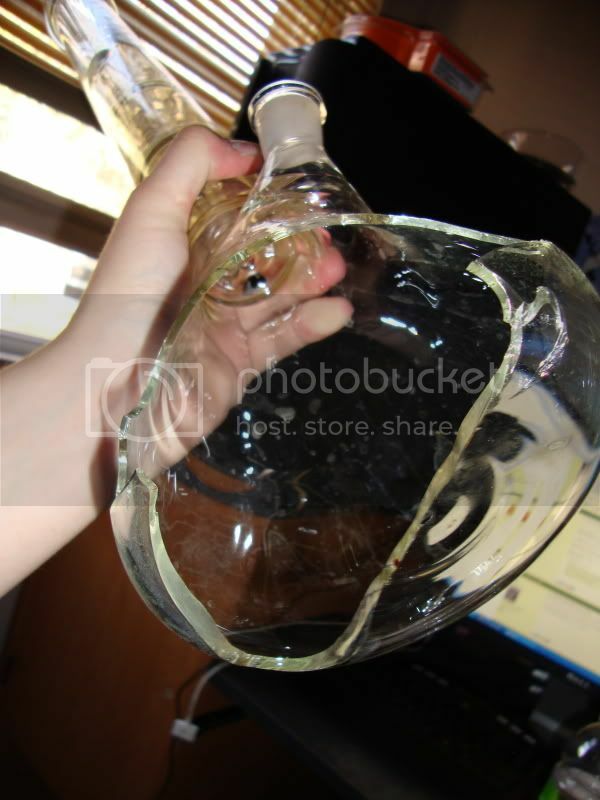 Im thinking the price of professionally repairing this bong is as much as a new one. Your best bet is to trash whats left of this one and buy another. You could always get creative with fiberglass and probably do a pretty easy repair job...but then again I'm not sure if that would have any adverse affects due to the chemicals involved even if you'd bake it and let it sit and cure for a long time. 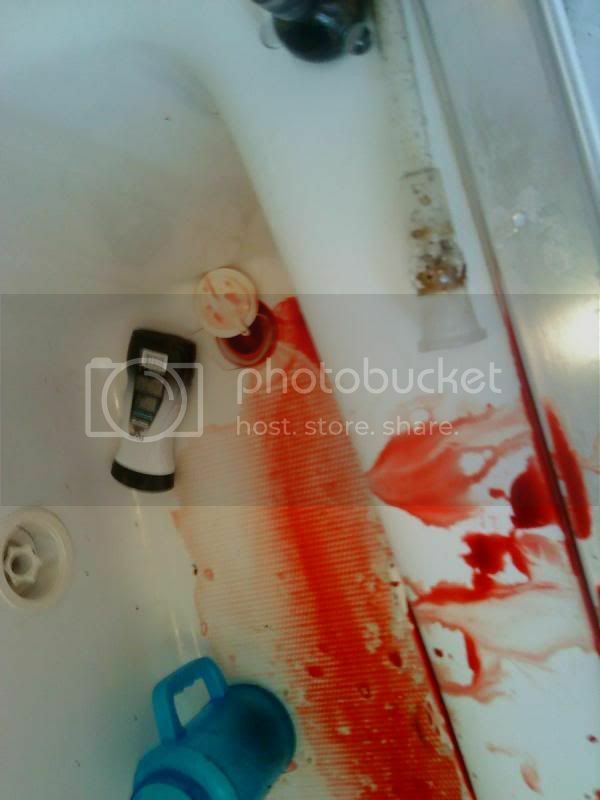 Sorry man from the looks of it thats a pretty bad break, and well bad break = unrepairable. If you don't mind me asking thats a pretty gnarly scar how did it happen? 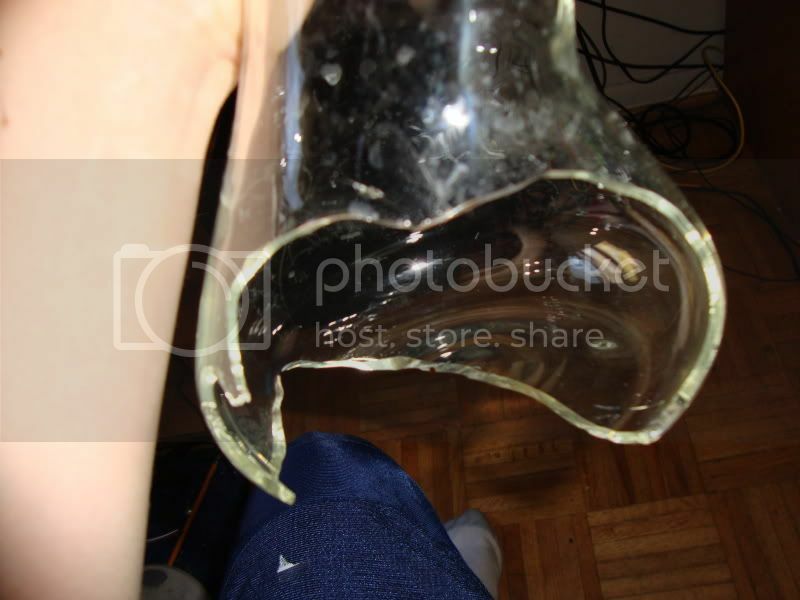 I mean I know it was because of the broken glass but did you like drop it and it broke or something along those lines? wouldn't the costs be enough to just buy a new bong? Try to make a steamroller with just the stem. A friend and I made one out or his broken bong and it hits like a champ. haha wasn't expecting the mild gore but no you will never be able to repair that, cut your losses and start saving up for a new piece. sorry but you're a complete idiot, i could already tell this by the fact you said you didn't fill up all the percs with water. and it looks like you only filled up the top one, which means you didn't know how to fill up the other ones, so i'm not surprised you broke it while cleaning it, which is another reason you're a complete idiot. molding plastic and taping it? just stop and recycle it. < without the sad look, and more of a "you deserved it" look. name calling isn't allowed here. Yes there are blowers that could repair that into a straight tube or an inline. That being said, you already sunk way too much money into that tube when you bought it so it's not really worth it. The tube was overpriced to start. Broken toro, any online glass repair?